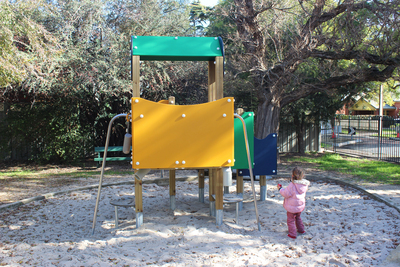 The Princess Margaret Playground is tucked just behind the Clarence Park Railway Station. It's a great playground for any littles who like watching trains; as long as the trains are running they'll get a great view as they enjoy the playground. 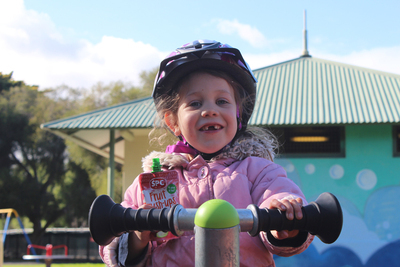 There are no tricky handle bars or large climbing nets. 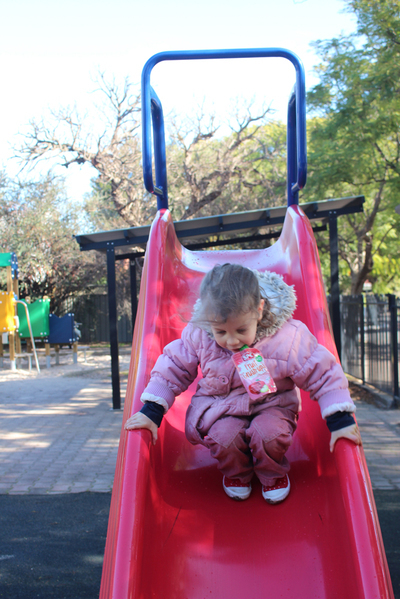 The playground is best suited for younger children; older children will still have fun but they'll likely grow bored a bit quicker. 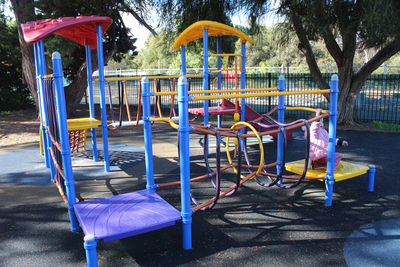 The main play area features equipment with obstacles and slides. Climb over it. Climb through it. Run under it. It's small, but there is still plenty to do. The other main play area is surrounded by a big sandpit. Jugs and tubes mean that children can have fun playing with the sand without having to throw it. Unfortunately these don't work as well in winter when the sand can be a bit damp. 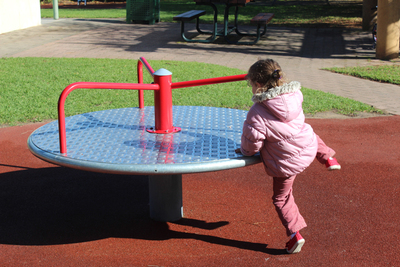 Around the park there are other fun things like bouncers, a roundabout, and themed equipment for imaginative play. It's only a small playground; there isn't too much room for playing with a ball but kids will still be able to run around and play chasey. In the centre of the playground you'll find tables and chairs where parents can sit back and relax. There is also a barbecue--to the right of the toilet block-- that you can make use of if you're feeding the family. This area is a great spot for kids parties or for parent groups to meat. Parents can sit and chat while the kids are busy playing. The space easily accommodates adults and kids if you're having a party. The fully fenced playground is a safe little suburban spot. It might not be the most exciting playground around but it still has a lot to offer. It didn't get the 5-Year-Old's mark of 'best playground ever' (that's still reserved for Marshmallow Playground) but she has loads of fun here. 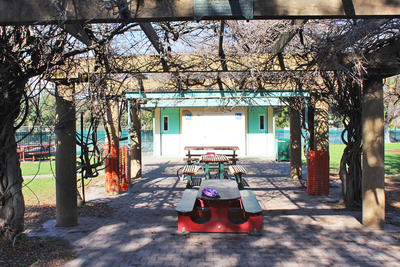 Is The Princess Margaret Playground one of the ones on your list? Where's the best place to buy obscure ingredients in Adelaide?